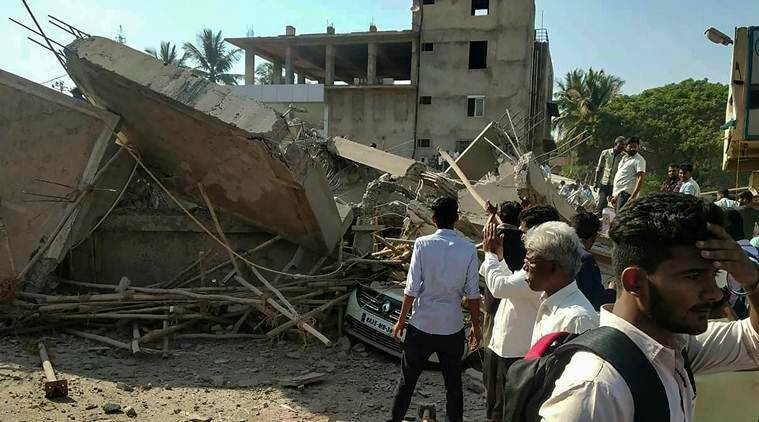 The death toll in the under construction multi-storey building collapse at Dharwad in north Karnataka mounted to 10 on Thursday as rescuers pulled out three more bodies from the debris. As rescue operations entered the third day, police revised the total number of injured to 55 even as an official said at least 12 to 15 people were still trapped under the rubble. The four-storey building collapsed around 3 pm on Tuesday, trapping several workers engaged at the construction site. The bodies of Divya Unakal (8), Dakshayini (45) and an unidentified person were retrieved from the debris on Thursday, PTI quoted police as saying. Earlier in the day, BJP MLA from Hubballi-Dharwad Central and former Karnataka chief minister Jagadish Shettar visited the spot and took stock of the situation. Santosh Adishettar, an assistant commissioner in Dharwad municipality, had said the prima facie cause for the collapse was to be sub-standard construction. While police are yet to make arrests, locals vented their anger on civic agencies for turning a blind eye to sub-standard materials being used for the construction. An eye-witness alleged that the building did not have the capacity to bear four storeys. Meanwhile, police have intensified rescue operations and in addition to 10 ambulances and five fire tenders, three teams of the National Disaster Relief Force have been deployed at the site. The opposition BJP has alleged that the building belongs to the father-in-law of former Dharwad Congress legislator Vinay Kulkarni, who is tipped to contest the Lok Sabha polls from Dharwad constituency. However, Kulkarni has said that one of the partners in the building was his relative and that whoever was involved should face action.